An advocate for the family of Cameron Todd Willingham, executed six years ago after a fire killed three of his daughters, is sharply questioning the objectivity of the head of the Texas commission looking into whether the man was rightly convicted. Stephen Saloom, the policy director of the nonprofit legal advocacy group the Innocence Project, brought up a comment attributed last week to John Bradley, chairman of the Texas Forensic Science Commission, during the public comments portion of that panel’s meeting Friday. “This is a very clear statement, ‘Willingham is a guilty monster,’ that brings into question the reliability of your chairman,” said Saloom. Founded by Barry Scheck and Peter Neufeld, the Innocence Project is a New York-based nonprofit that pursues legal challenges and push policy reforms aimed at exonerating people wrongfully convicted of crimes and preventing future injustices. Death-penalty opponents have said an impartial review of Willingham’s case could lead to the unprecedented admission that the state executed an innocent man. Willingham’s daughters — 2-year-old Amber and 1-year-old twins Karmon and Kameron — died when their Corsicana, Texas, home went up in flames in 1991. The state’s fire marshal, Manuel Vasquez, told jurors in Willingham’s trial that the fire was set intentionally and spread quickly due to an inflammable liquid. While a jury convicted Willingham of murder, three reviews of evidence by outside experts found the arson determination was based on outdated or faulty science. The first of those reports was sent to Gov. Rick Perry’s office and submitted to appeals courts before Willingham’s execution, while the other two came after his death. The last of those was ordered in 2008 by the Texas Forensic Sciences Commission, itself authorized in 2005 by an act of the Texas state legislature. In that report, Maryland-based fire science expert Craig Beyler concluded that the arson finding “could not be sustained” — based on current-day investigative standards, as well as those in place in 1991. But two days before the panel was set to hear from Beyler, Gov. Rick Perry shook up the commission with three appointments, including one to replace the panel’s chairman. Perry later called the move “pretty normal protocol,” since the departing members’ terms had expired. As governor, he had signed off on Willingham’s execution, and critics have accused him of trying to derail a review of that case. Perry has said he’s confident Willingham was guilty, while police in Corsicana say other evidence beyond the arson testimony supports the prosecution. The Forensic Science Commission’s movement on the investigation has slowed as the board’s new chairman, Bradley, urged a review of the panel’s operating rules. Bradley, who was appointed to his current job as Williamson County district attorney in 2001 ahead of his election one year later, said this summer that the Willingham probe “absolutely” will continue, though he would not say when. In July, the Forensic Science Commission found that arson investigators used flawed science in their probe of the Willingham matter, but were not negligent and did not commit misconduct. At Friday’s hearing, Saloom noted “concerns” about several moves that Bradley had made and questioned whether it was necessary to “revisit everything” that the commission had done prior to Bradley’s appointment. Later in the hearing, several of the Forensic Commission’s members engaged in a heated exchange over the Willingham case and the panel’s role. Dr. Garry Adams, for instance, said “it is important to maintain credibility” given the intense media spotlight on the case, while fellow members Lance Evans and Dr. Sarah Kerrigan also questioned the validity of Willingham’s conviction. But Bradley said that much of the debate over Willingham’s case was being fanned by the media and other outside influences. He also noted that authorities, ranging from parole boards to the U.S. Supreme Court, had looked into the trial and conviction ahead of Willingham’s execution. “We’re being used, and we should recognize that,” Bradley said. On Thursday in Texas, District Court Judge Charlie Baird rebuffed a request by Navarro County District Attorney Lowell Thompson that he step aside as he opened a hearing into whether Willingham’s name should be cleared six years after his execution. Members of Willingham’s family pushed for the hearing, claiming that “junk science” led to a wrongful conviction and execution. 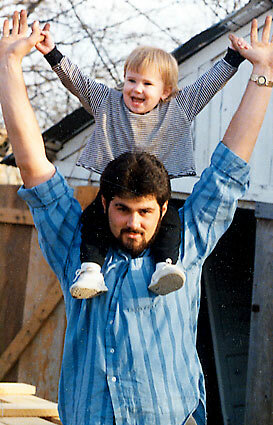 News reports of today’s Court of Inquiry hearing in Todd Willingham innocence case. But they also say that the hearing is more than symbolic — it could cast in a new light the Lone Star State’s record on executions. And more broadly, they argue, it is a cautionary tale about the power of flawed science to sway a courtroom, and a glaring injustice that could affect debates over the fairness of the death penalty. Many who oppose the death penalty have taken Justice Scalia’s statement as a challenge, and argue that the Willingham case is their proof. During an unprecedented hearing completed just before an appeals court ordered it to stop, state District Judge Charlie Baird on Thursday heard from two leading fire experts who said Cameron Todd Willingham, executed in 2004, was convicted based on faulty science. A jury convicted Willingham in 1992 of killing his three young daughters by setting fire to his Corsicana house. Shortly before his execution, the first in a string of experts found that investigators relied on bogus science to determine that the fire was intentionally set. “There is not a single item of evidence at that fire scene that would even suggest this was arson,” said Gerald Hurst, an Austin chemist who has studied fire for decades. Lawyers for Willingham’s family petitioned Baird last month to pronounce that Willingham was wrongfully executed and to determine whether there is probable cause that state officials committed a crime in their handling of his case just before execution. After a hearing that lasted a little more than three hours, Baird said he would make a ruling on the case at a later date. About that same time — just before 5 p.m. — the 3rd Court of Appeals in Austin ordered Baird not to take any further action in the case. A state district judge will hold a hearing next week to determine whether Texas wrongfully executed a man in 2004 for the arson murders of his three young daughters. Not one of the more than 1,200 U.S. executions that have taken place since a judicial ban was lifted in 1976 has been declared wrongful by a judge, so the hearing into the case of Cameron Todd Willingham will be keenly watched. The case could be politically explosive because Willingham was put to death under the watch of Texas Gov. Rick Perry, a tough-on-crime Republican who is running for re-election in November and whose handling of the case has been criticized. Dozens of death row inmates have been exonerated in recent years, many because of DNA testing and all before they were put to death. Legal experts say it is highly likely that an innocent person has been executed, and Willingham is widely viewed as the most probable case. 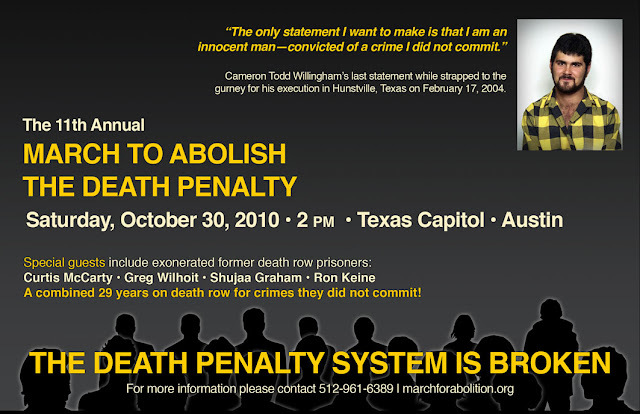 “I think Cameron Todd Willingham will be the first person executed around whom there is a consensus that he was wrongly executed,” said Richard Dieter, director of the Death Penalty Information Center, a Washington-based think tank. State District Judge Charlie Baird told Reuters by e-mail that he will hold the rare legal proceedings Wednesday and Thursday. “The issues that I will hear evidence on are the issues raised in the petition filed on behalf of Mr. Willingham’s surviving relatives,” Baird said. Perry issued the first posthumous pardon in Texas last March to Tim Cole, who died in prison from complications with a personal injury and an asthma attack while serving a 25-year sentence for a wrongful aggravated sexual assault conviction. Baird had declared him innocent during an exoneration hearing, and next week’s will be of a similar nature. The ultimate legal implications of an execution being declared wrongful by a judge are unclear. “This is uncharted legal territory because we normally don’t have courts looking into whether somebody was wrongfully executed,” said Jeff Bellin, a law professor at Southern Methodist University in Dallas. Willingham was executed for the 1991 murders of his three children, who died in a fire in their home in the northeast Texas town of Corsicana. Willingham insisted he was innocent. The case gained national prominence after leading experts concluded that the techniques used to determine that the fire was set were based on flawed science. A state hearing into the matter was abruptly canceled last year after Perry removed three members of the panel, prompting cries of political interference. Texas is by far the most active death penalty state, having carried out 463 executions since 1982, over a third of the national total since the Supreme Court lifted a temporary ban on the death penalty in 1976. And Perry, who took office in December 2000 and is the longest-serving governor in Texas history, has overseen more than 240 executions — by far the most of any governor in modern U.S. history. Cynthia Orr, an attorney for the Willingham family, said they hoped the hearing would establish his innocence. “That’s the entire goal and focus of this hearing,” she said.